Motorola has paved its way for the debut of Z2 force smartphone in Indian market. Just like the earlier ‘Force’ versions, even Z2 force gets the shatterproof display with Motorola’s ShatterShield. Essentially, this technology protects the phone’s display from every odds of daily use. Now, Lenovo-owned Company is offering Moto Z2 Force with Battery mod as a Limited Edition. Moto Z2 Force features a 5.5-inch QHD POLED ShatterShield display with 1440 x 2560 pixels resolution. The water-repellent nano-coating on the device safeguards from splashes. 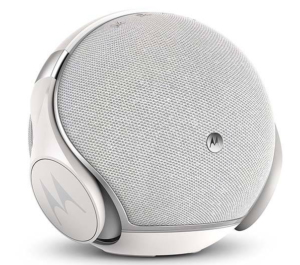 On the other hand, Motorola is providing 4-year guarantee for the screen even for drops and falls. Discussing further specs, the smartphone is powered by a Qualcomm Snapdragon 835 SoC. While other flagships are touting the updated Snapdragon 845 SoC, this may disappoint moto loyalists. Indian users get a standard 6GB RAM variant along with Adreno 540 GPU. The smartphone sports 64GB internal storage runs Android 8.0 Oreo out of the box. On camera font, Z2 force touts a dual camera setup on the rear with 12-megapixel Sony IMX386 sensors. The f/2.0 aperture Bayer and Clear lens give depth of field effects. Other camera features include PDAF, Laser Autofocus, colour correlated temperature (CCT) dual-LED flash and Zero Shutter Lag. Moving to the front camera, Z2 Force packs a 5-megapixel sensor with a f/2.2 aperture 85-degree wide-angle lens. The 64GB inbuilt storage can be expanded up to 2TB maximum with a microSD card. All other regular connectivity options persist in the device and are updated versions. Sensor range in the device includes an ambient light sensor, barometer, accelerometer, gyroscope, proximity sensor and a magnetometer. The home button on front panel incorporates a fingerprint sensor in it and keeps up the style. The Moto Z2 Force is backed by a 2730mAh battery which the maker claims it can last all day. Yet, TurboPower Battery Mod in Moto Z2 force boasts 3500mAh power. However, the company hasn’t listed any deal which sells the device alone excluding the battery mod. The smartphone comes with a 15W TurboPower charger which provides 8 hours usage with 15 minutes of charge. Moto Z2 Force with battery mod price comes first while comparing it to any other flagship. Indian users need to pay Rs.34,998 to grab their Limited edition Z2 Force which puts Mi MIX 2 in the competition ring. On the other hand, the crowd puller OnePlus 5T 64GB version stands as the toughest competitor. 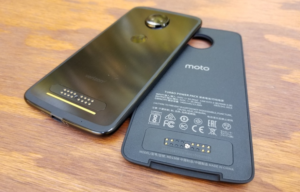 As both the devices offer almost same specifications, Battery mod in Moto Z2 Force stands unique. Fact is that both the above-mentioned competitors are tough guys in the segment for many reasons. Considering the present scenario, a premium offering from Moto Z series again may not grab user’s attention. The highly prices Moto mods could be the main reason amongst others. Despite OnePlus 5T’s popularity and Mi MIX 2 build quality, Battery mod in Motorola Z2 Force might help to increase sale numbers in the country. 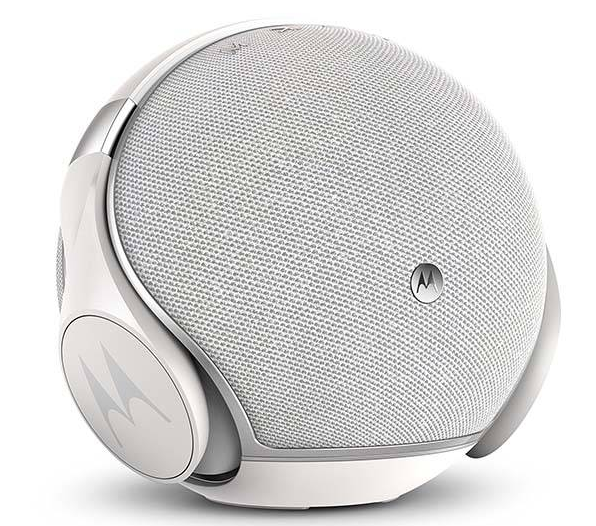 Presently, Motorola has a decent stake in the mid-level smartphone market but the premium models aren’t up-to-the-mark. Summing up all, Z2 force will put forward the best of Motorola’s effort to attract premium smartphone buyer’s attention. After the mixed result with the Jio Phone sales, Reliance Jio is gearing up to launch an Android Go 4G VoLTE smartphone. Jio has partnered with MediaTek for manufacturing this low-cost 4G smartphone. This Jio Android Go 4G phone will be listed for much lower price than the existing Lyf branded Jio 4G smartphones. Reliance Jio aims to lure more users to its network with the launch of this Jio Android Go 4G smartphone. Recently, Google unveiled Android Oreo Go for low-end smartphones which have less hardware configuration of 1GB RAM or less. The toned down Android Oreo Go OS will be available for low-cost 4G smartphones and runs lighter app versions. Google claims that the new Android Go will play a crucial role for adoption of smartphones in markets like India. Essentially, Jio is planning to attract entry-level smartphone users with this Jio Android Go 4G phone. However, the telecom provider is planning to apply the same strategy used for Jio Phone. Earlier, Mukesh Ambani-led group has launched Jio phone which effectively cost Rs.0. Now, this firm might be planning to launch this Jio Android Go 4G smartphone at a record-level low price. Buzz is that Jio is planning to order over a million units if this Android Go 4G phone. However, it seems that company will have the same Jio Phone like approach even for this Jio 4G smartphone. 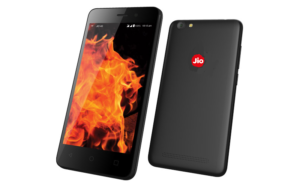 The youngest telecom aims for maximum migration to smartphones with the launch of low-cost Jio Android Go 4G phone. Also, this new initiative brings smartphone more accessible for entry-level users. Recent statistics state that Jio Phone holds 27% stake in the feature phone market. Airtel and Vodafone also offer such bundled 4G smartphones with lower prices. Amidst the cashback and other offers, they are offering 4G devices to as low as under Rs.1500. It is expected that the upcoming Jio Android Go 4G smartphone might price even low. Considering this move, many domestic and Chinese smartphone makers are planning to launch entry-level Android Go smartphones. Micromax has already announced Bharat One, Android Go Oreo powered smartphone and will be launched soon. Besides that, the Micromax is also planning to premium features to its mid-range lineup. Yet, it would be more interesting to see how Jio Android Go 4G smartphone attracts entry-level smartphone buyers. Google has launched Android Oreo Go in the I/O event extending its OS support for lower hardware configuration phones. Effectively this lite version of Android OS brings down the amount of storage to half. Android Go will run only customized lighter versions of app. The newly launched Datally app and other Go apps like Files Go, Mail go comes pre-installed on Android Go OS. Effectively, the Android Go serves the users with best of basic smartphone functions with ease. Now, China-based MediaTek will work with Google to produce CTS-compliant Android builds low-cost Jio Android Go 4G phone. The upcoming Mobile World Congress (MWC) in Barcelona to unveil the Samsung Galaxy S9 and S9 +. The smartphone maker touts the teaser with a tag “Camera Reimagined” which hints great camera enhancements. Samsung has announced that the next flagships launch will be on 25th February. Meanwhile, there are hints about the upcoming range Samsung Galaxy S9 improvements. The Samsung tradition continues and the Galaxy S9 may borrow few design cues from its predecessor. Its bezel-less design stands favourite, and the oddly-placed fingerprint sensor will be shifted below the camera lens on S9. The sensor range in the camera adds another impressive feature in the Samsung Galaxy S9 improvements. As rumoured earlier, Galaxy S9 range will be powered by the latest Qualcomm Snapdragon 845 chipset for US users. While the remaining users will get a Samsung own Exynos 9810 processor powered version. Discussing further, New Galaxy S9 features a 5.8 inch Quad HD+ Super AMOLED display. On the other hand, Galaxy S9 Plus touts a larger 6.2 inch Quad HD+ Super AMOLED display. Samsung is offering the devices in 4GB and 6GB Ram variants with 64GB and 128GB t storage options respectively. The new devices mainly focus on the improvements in the camera department. Samsung has employed new ISOCELL sensors in their upcoming Galaxy S9 and Galaxy S9 plus. Essentially, these sensors can record 480fps slow-motion videos in Full HD 1080p resolution. The Tetra Cell Technology will improve low light performance and upgrades existing Dual Pixel Tech. Both the smartphones will get dual stereo speakers, earphones tuned by AKG, IP68 water and dust resistance and an iris scanner. The Smart WDR feature in S9 duo allows the sensor to capture multiple exposures in a single shot. Besides that, it also improves the low-light performance with extremely thin modules and dual sensors. 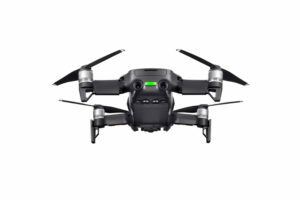 However, The Isocell image sensor chip helps with faster focus, better low-light photography and an integrated depth sensor for face recognition. Recent rumours suggest that the device may get a f/1.5 aperture lens at the rear. It is expected that both the smartphones will come with a variable aperture of f/1.5 to f/2.4, this likely to provide a DSLR-like output with the sensor. The top of the line Galaxy S9+ will get a dual lens for the primary camera, while the Galaxy S9 variant is expected with a single lens. However, a similar 8-megapixel selfie camera may remain same on both the devices. The maker believes that the all the above-mentioned features may make the Galaxy S9 & S9+ cameras best for the year 2018. As mentioned, the Samsung Galaxy S9 & S9+ will be launched in a special event held at MWC on 25th February. 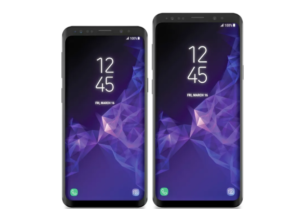 The pre-orders for the Galaxy S9 & S9+ will start from the first week of March in the US first. Yet, the devices will officially go on sale by the end of March. Galaxy S9 & S9+ launch in India may fall after a month of its initial launch. Buzz is that the launch event in India will be in March and will be rolled out for sale from mid-April.